Have you heard about the WakerSpace and want more information? Visit the WakerSpace page for hours, events, classes and more! TechXploration 2019 is in the books! On Thursday, March 21, Information Systems hosted the 8th annual TechXploration! TechXploration provides members of our campus community a unique opportunity to share and see the many ways that technology is being incorporated into the classroom. Each of the 30+ presentations were unique to a specific topic and incorporated posters, technology, videos, activities, and lots of engaging conversation! For 3 hours, approximately 200 faculty, students and staff interacted with one another, learning more about each other, both professionally and personally. Presenters and attendees engaged in animated conversations regarding the positive aspects and challenges encountered when using technology to enhance teaching, learning, and scholarship. The LMS Review Steering Committee invites all faculty, staff, and students to join us as we engage with vendors demonstrating what the Sakai and Canvas platforms can do for our community. The steering committee plans to recommend campus-wide adoption of one of these two systems by the end of the academic year, and feedback from those who attend these sessions will be an essential driver of that recommendation. The most recent Information Systems Year in Review is now available! We invite you to click on this link to read about several of the many successes the campus community achieved in the past year. We also recently added an Academic Technologies page. Please take a look and learn more about the digital transformation underway at Wake Forest. Apply for a 2019 T-CART Grant! Information Systems and the Office of the Provost are excited to announce the 2019 T-CART Grant Program. This program provides funding for Faculty summer projects to explore new and existing technologies with the potential to enhance teaching, scholarly, and creative work. 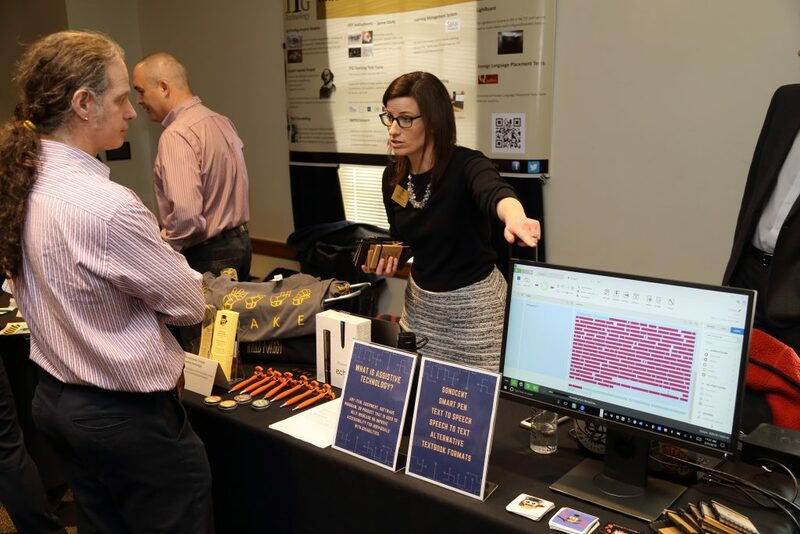 T-CART includes two grants: the annual Summer Technology Exploration Program (STEP) grants, and the inaugural year of Summer WakerMaker Faculty Fellow grants for the new WakerSpace. Both grant applications are due February 15, 2019. Please visit the T-CART grant website for more information and to submit an application! Information Systems staff thoroughly tested the new operating system and determined it meets our compatibility and performance requirements. We are confident that macOS Mojave is ready for download and use on Wake Forest allocated computers. Additional information about macOS Mojave and how to download the software can be found here. October is National Cyber Security Month, a nationwide campaign designed to increase understanding of Internet security and help the public avoid malicious threats on the Internet. Plan to attend one or more of the following events and register each time to win several awesome prizes, including a GoPro, a wireless Bose speaker and more! On Monday, September 24, 2018, Apple is set to release the macOS Mojave upgrade. Information Systems strongly suggests that you do not upgrade your Wake Forest allocated computer to macOS Mojave at this time. Information Systems staff will be testing this new operating system to determine if it meets our compatibility and performance requirements. We will communicate additional macOS Mojave upgrade information as it becomes available. If your computer is upgraded to macOS Mojave and exhibits performance issues which inhibit its use, please bring it to the Information Systems Service Desk for a reload of the original operating system as shipped from Apple.